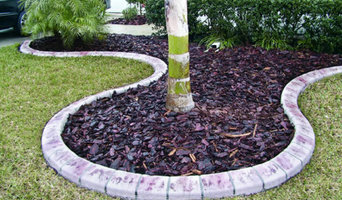 Kwik Kerb is the premier supplier of concrete kerbing and landscape edging in the world today. The continual development of innovative products has allowed Kwik Kerb to maintain its status as the world leader in continuous concrete edging for over 30 years. The Kwik Kerb name is very well known and respected and is synonymous with quality concrete edging. Caboolture Tree Removal North Lakes provides the safest, low cost and professional tree lopping, tree removal services to residential, business and industrial customers in the North Lakes and Kallangur community We cover all facets of tree removal and tree lopping projects done with care, safety and consideration for nearby structures and people to ensure that structures and your family remain untouched and undamaged. 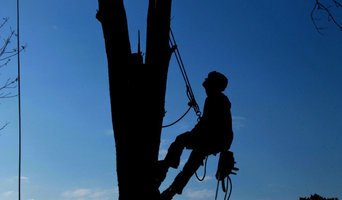 The task of tree removal can be a daunting one not only for you but also your neighbours. Our experienced North Lakes Tree Lopping team can step you through the whole process of your tree removal job to ensure you not only make an informed decision but that you are comfortable in the fact that we know what we are talking about. With our 4 generations of experience in the tree lopping and stump grinding industry, you can be assured that your tree removal job will done by one of the most experienced teams in the Industry. We’ve performed a wide range of work in the North Lakes and Kallangur area that we know that all jobs are different and we can work in tight confined spaces or take on the big tree jobs on large acreage blocks. So if you are looking for quality tree removal and stump grinding services in the North Lakes and Kallangur area. Call the team at Caboolture Tree Removal North Lakes today and get your no obligation free tree removal quote today. Brisbane Lawn chairs and Garden Service is a new startup business based in Brisbane’s western suburbs. We are all about the backyard.. and making it a green space you can relax into after the working week. We make and deliver an outstanding outdoor chair and can back this up with a full range of garden services. Please check out our blog for regular showcase garden and outdoor furniture projects. Createscape is your go to for your Construction & Landscaping needs! Contact us today for your obligation FREE quote & site visit/presentation. With over 12 years’ business & industry experience, Createscape can cover everything that would turn your potential dream into a reality. An outdoor patio area or perhaps a wraparound sprawling deck to expand your entertainment areas around your home. Be the envy of all your friends and finish it off with beautiful artistic landscaping. Don’t forget to keep your animal family happy with fully secure fencing. With Createscape, you’ll never go wanting! Our team is full of energy and creativity with the flexibility to suit all needs. We provide competitive pricing within the industry, skilful work AND we do it with a SMILE! We enjoy working in small intimate areas as well as large scale open areas, from start to finish or just a little makeover to bring the area back to life!! If you’re not happy with the finished product we will gladly come back within a 6 month period from completion date. If it isn’t good enough for us – it isn’t good enough for you! Contact us TODAY for a quote or to have a general chat about what work can be done to fit your budget. Hello and welcome to East of Eden, home of landscape design on the Sunshine Coast and in Brisbane. 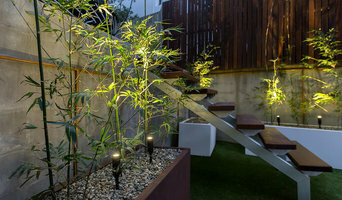 We specialise in Asian and Japanese gardens, granite lanterns, water bowls and rain chains. Take your time and look around, I hope by the time you leave, your ideas on gardens will have been mentally challenged and you will leave with a refreshed and relaxed soul. 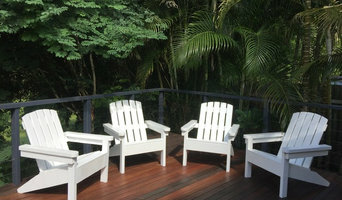 Bragg About it Landscapes was established locally in Brisbane in 1992. 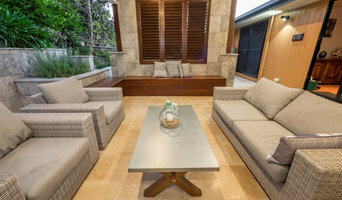 It is fully licensed for structural landscaping by the QBSA (QLD Building Services Authority) and is a current member of the QMBA (QLD Masters Builders Association). Bragg About it Landscape offers its Clients a complete service in all aspects of landscape design construction, in addition to and innovative new "Do it Yourself" program. The scope of work undertaken is extensive - ranging from private residential projects, commercial and recreational developments, all varying in size, complexity and budget. Cprice landscapes is one of the best North Brisbane landscaper. We are specializing in garden maintenance, garden design, retaining walls, water features, wooden screens, turf installation. Our expert team involved in complete landscape services. No matter how big or small your job is, at Circle Maintenance our core objective is to provide you with the highest standard of lawn and garden care, tailoring our complete service solutions to your needs and budget. Mowtown man landscaping aims to create the garden of your dreams. We have been landscaping for 4 years and pride ourselves on creating landscaped yards which meet your budget and are both functional and aesthetically pleasing. We offer a range of quality and affordable services from turfing and planting through to the construction of retaining walls, paved areas, fencing and more. Green Vibes is a family owned landscaping business with over 20 years experience specializing in sustainable garden design.